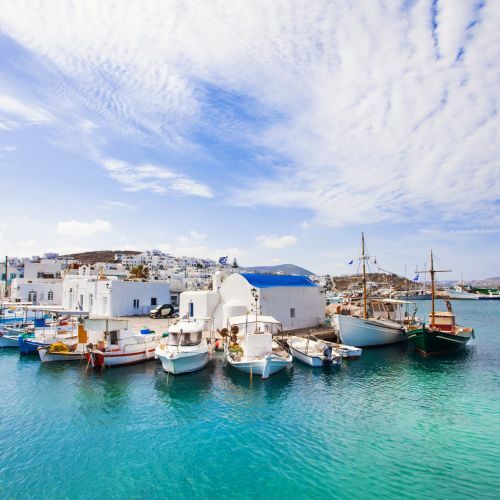 Embark on a yacht charter of myth and adventure cruising the iconic Cyclades. 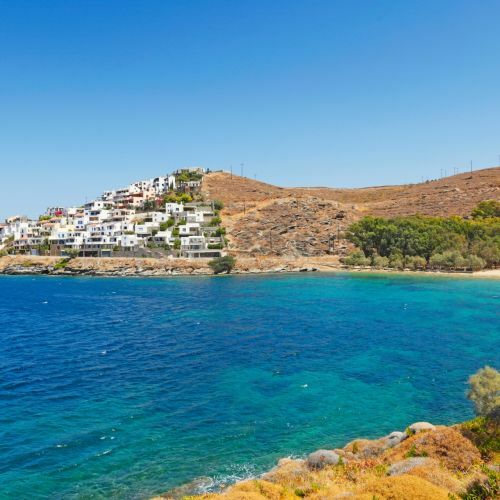 The Cyclades are the ultimate Greek vacation destination and the perfect opportunity for island hopping. Each island has its own distinctive identity and charms. Mykonos is famous worldwide for its cosmopolitan lifestyle and vibrant nightlife. Paros is quiet and sophisticated. Santoniri is of breathtaking natural beauty and very romantic. 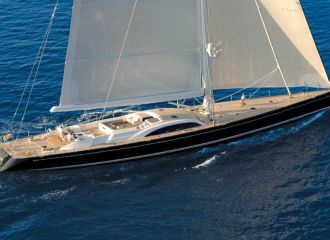 A yacht charter in the Cyclades gives you the opportunity to discover this extraordinary archipelago. 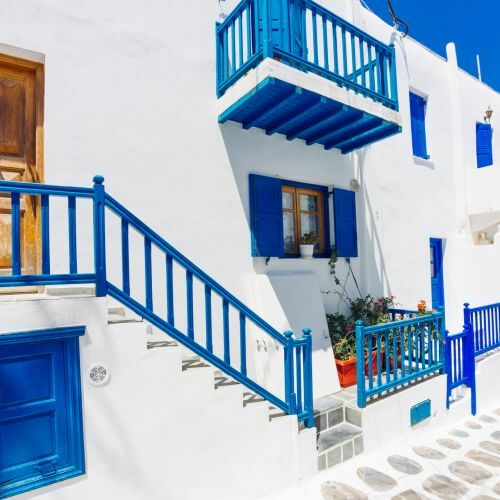 Blazing sun, crystal-clear waters, rugged coastline, historic wonders and charming villages, the Cyclades will capture your imagination and amaze you. 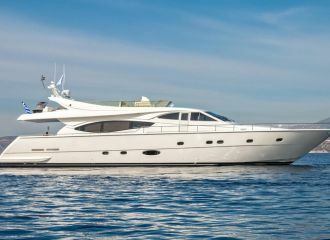 Join your yacht in Athens and cruise towards Kea. Spend the afternoon relaxing, swimming and enjoying water-based activities. Morning cruise to Mykonos. Admire the whitewashed houses and windmills from the deck of your yacht. Spend some time ashore and wander in the narrow streets. Mykonos has great shopping. Have a drink in Little Venice before heading to one of the island’s exclusive restaurants. After breakfast, leave for Paros. On your way, the yacht will stop so that you can visit Delos, the birthplace of Apollo and Artemis. Delos is an interesting archaeological site with spectacular monuments. Arrive in Paros mid-afternoon. Enjoy some water sports or swimming before retiring to Naoussa, a lively fishing village. Cruise to Naxos, the largest island of the Cyclades. 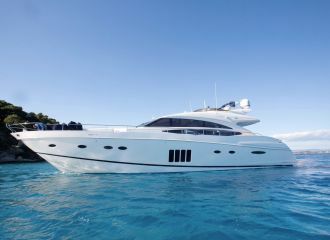 The coast boasts many bays where your yacht will anchor so that you can swim and practice some water sports. 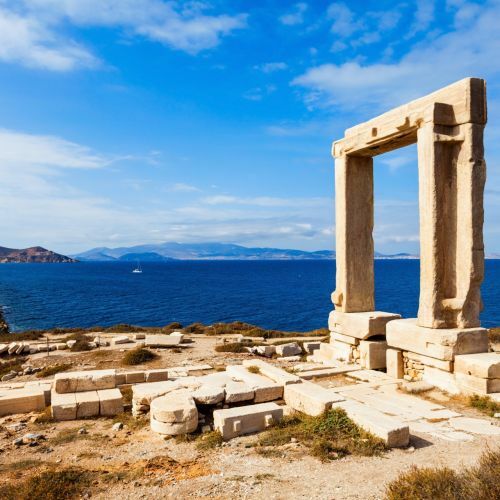 Naxos is home to the magnificent Portara, the entrance of Apollo’s temple. 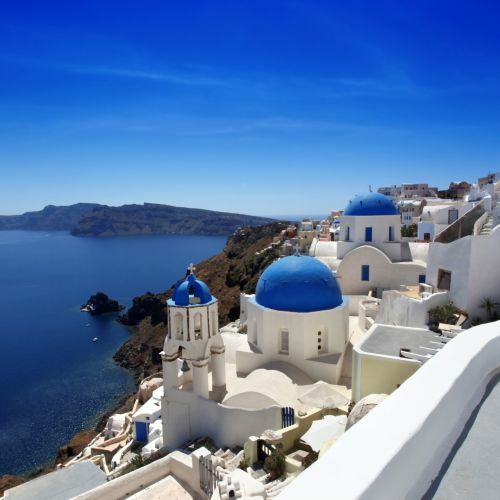 Set sail to Santorini, the queen of the Cyclades. This volcanic island is of breathtaking beauty. 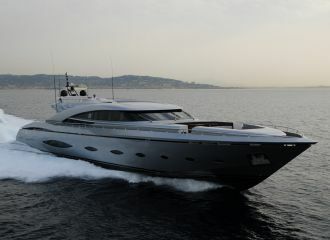 The yacht will cruise along the coast so that you can admire the cliffs, the sea caves and the coves. Spend some time ashore exploring the old town. Following breakfast, your yacht will cruise to Milos. There you can do some watersports and swim. Continue your cruise towards Sifnos. The island used to be extremely rich with gold and silver mines. Its medieval architecture and the monasteries are particularly interesting to see. Enjoy the last hours on your yacht before cruising back to Athens for disembarkation.